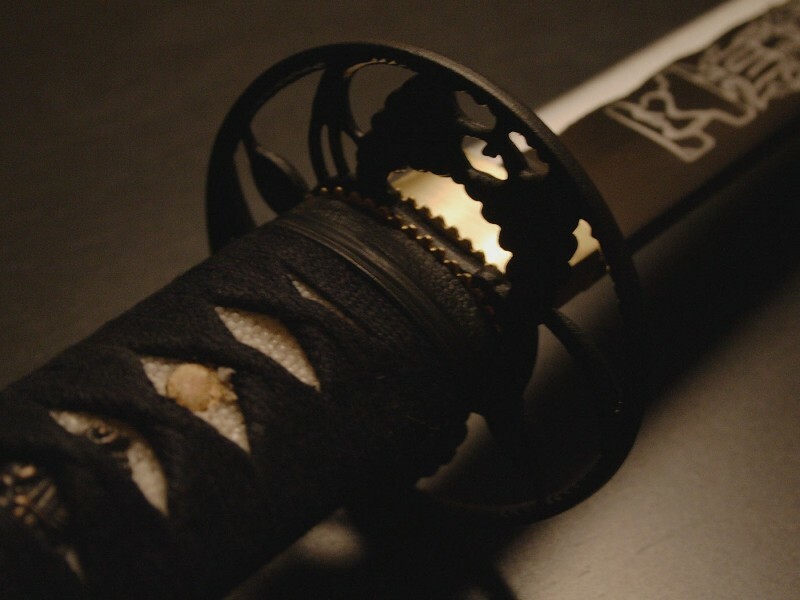 Katana is a traditional single-edged sword, Japanese samurai used for hundreds of years. Katana made of the finest materials, so they are considered the most acute and most exquisite swords in the world. 125 of these swords were even announced Juyoung Abazai (objects of national cultural values) in Japan. This means that the sale or export of Katana is illegal. In 1992, about 1,100 Japanese swords of the collection of Dr. Walter Ames Compton were auctioned. The collection was sold for $8 million in a single day, including the blade of the 13th century Kamakura period that was sold to an anonymous private collector for $418,000. At the moment it is the most expensive katana ever sold at a private auction. 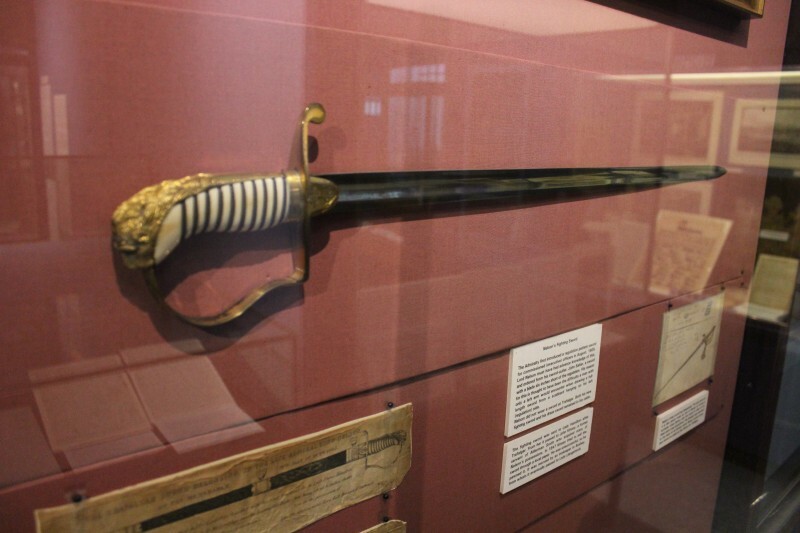 Lord Nelson’s sword was discovered in 2001 along with a treasure trove of other papers, documents, medals, jewelry, and weapons belonging to Nelson. All these things were hidden 200 years ago in a hollow of a tree by close friend of Nelson, Alexander Davison. In 2002 the collection was sold at Sotheby's in London for £2 million. 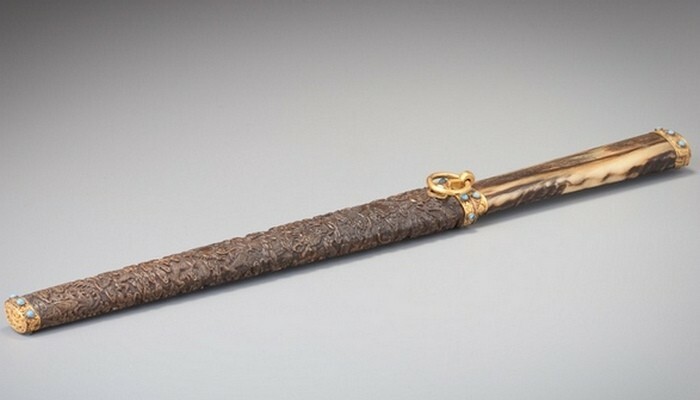 This slightly curved royal blade European style with elements of a gold inlay was sold in 2007 at Sotheby's. The sword decorated with images of poppies and lotus, is believed to have belonged to padishah Mughal Emperor Shah Jahan (1627-1658). The blade was made personally for the sultan on the tenth year of his reign. 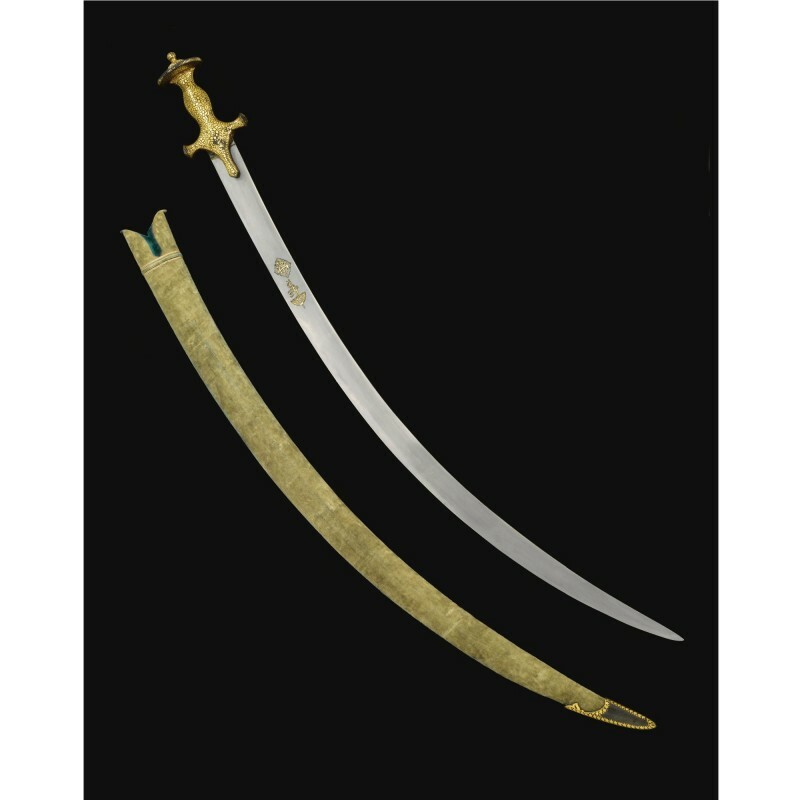 Talwar was sold at auction for £446,100. This sophisticated hunting knife believed to have belonged to the Qianlong, the sixth emperor of the Manchu Qing Dynasty. In the hilt of a knife made from antelope horns rare, it was a cache for storing chopsticks and toothpicks. Sheath weapon was made of rhinoceros horn and decorated with images of dragons frolicking in the clouds above the waves. The knife was made of gold and encrusted with turquoise, coral and lazuli. It was sold at Sotheby's in 2009 for 9.62 million HKD. Ulysses S. Grant received this sword in 1864 as a gift from the people of Kentucky, when he was appointed Chief of the General of the United States Army. Perfect Weapon decorated with 26 diamonds, of which lined the initials of Grant - USG. The sword was sold for $1.6 million in 2007 at Heritage Auctions.